A version of this letter appeared on page A12 of The Globe and Mail on December 26, 2017. 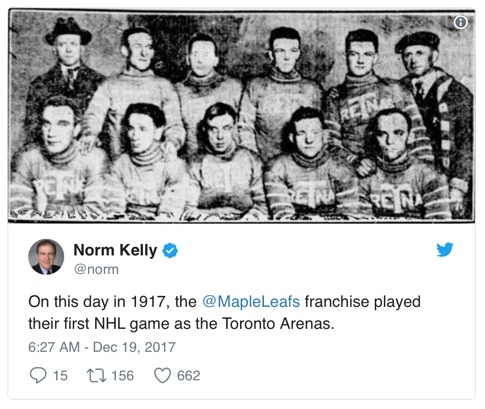 It’s a fine point, and not one the NHL itself has always grasped so firmly in its 100-year history, but Toronto’s initial NHL team wasn’t known as the Arenas during that first 1917-18 season. 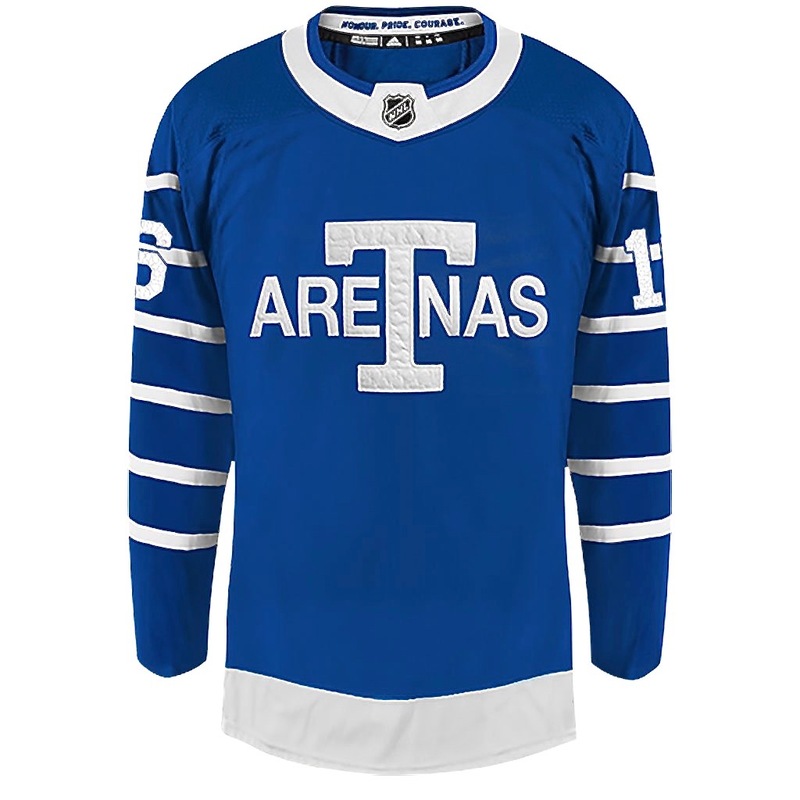 True, the Toronto Hockey Club was owned by the Toronto Arena Company, and played at Arena Gardens. 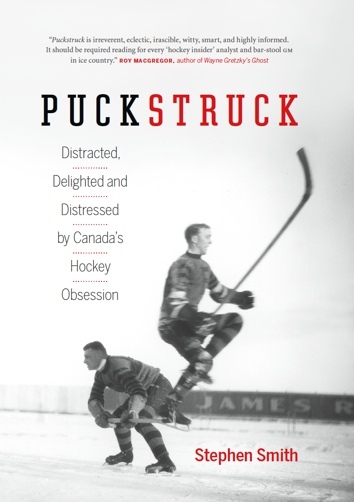 But en route to winning the 1918 Stanley Cup, the team was just plain Toronto. Popularly (including in the pages of The Globe and other newspapers) they were often referred to as the Torontos or Blueshirts. The following year, ’18-19, was when they became Arenas, donning new sweaters that said so — the uniforms the modern-day Torontos wore this week alluded to that second-season garb. Just to muddle the matter further, when the NHL got around in 1947 to engraving the original Stanley Cup with the names of champions previously left off, the slip was perpetuated in silver. 1918, that old Cup will assure you, was the Toronto Arenas’ year, not the plain old Torontos’. Don’t believe it. Just Torontos: Toronto councillor Norm Kelly wasn’t the only one to err on the name of the cit’s NHL team: NHL.com and Sportsnet’s Leaf broadcast on December 19 were in on the mistake, too.